Q : Why have I never heard of Stretch Ceilings Before? where it is now in high demand. 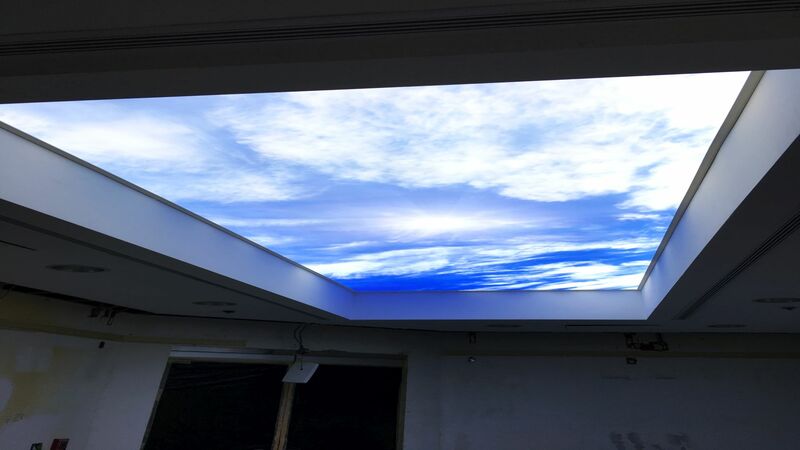 Nevertheless, the stretch ceiling has never been advertised on the retail market in the past, since it has always been exclusively used by the construction industry and interior designers, which partly explains this absence of information. Q : What is a Stretch Ceiling? A : A Stretch Ceiling is a suspended ceiling system that consists of two components: a Track and a Lightweight Membrane, which stretches and clips into the Track. 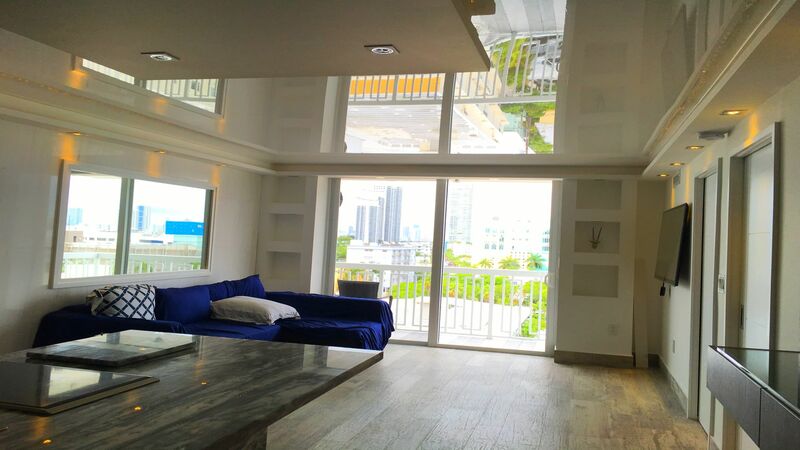 Q : Where Stretch Ceilings can be used? A : Indoors, anywhere a ceiling needs to be installed or replaced. Q : Does the Stretch Ceiling System require any particular maintenance? A : The Stretch Ceiling System requires NO MAINTENANCE, If necessary, it can be cleaned with regular household cleaning agents or just soap and water. Avoid the use of strong chemicals or solvents as these may void the warranty. Q : Do Stretched Ceilings come in different colors? A : Yes, we offer over 200 colors to choose from, as well as 6 finishes such as Matte – Satin – Lacquer – Translucent – Perforated – Suede. Q : Is the Stretch Ceiling System only installed in Europe? A : No. Besides being quite a popular product and in high demand in Europe, it is actually also present around the world, on all 5 continents, more precisely in 120 countries, the U.S. included, of course. Q : What is the resistance of Batica-Renov Stretch Ceilings? A : The membrane can hold the volume of about 26 gallons of water per 10 square feet, this type of ceiling can help avoid a major water damage in your home. Q : Can you clean a Stretch Ceiling? A : In normal use, a Stretch Ceiling does not need to be cleaned. If it were to be stained, you can use a regular household cleaning product or just soap and water. On a glossy (Lacquer) ceilings, you must not use any abrasive product. Please feel free to contact us for more advice. Q : Is the Stretch Ceiling Batica-Renov recyclable? A : Yes, this type of Ceiling is 100% recyclable so eco-friendly. Q : What is the lifespan of a Stretch Ceiling? A : Experience shows us that our ceilings retain all their technical properties for many years, and numbers of Stretch Ceilings are still in place twenty years later. Q : How much time is needed to install a stretch ceiling of 200 sqf? A : It depends on the complexity of the task, but the installation in a regular 200 sqf room is carried out within 4 hours. 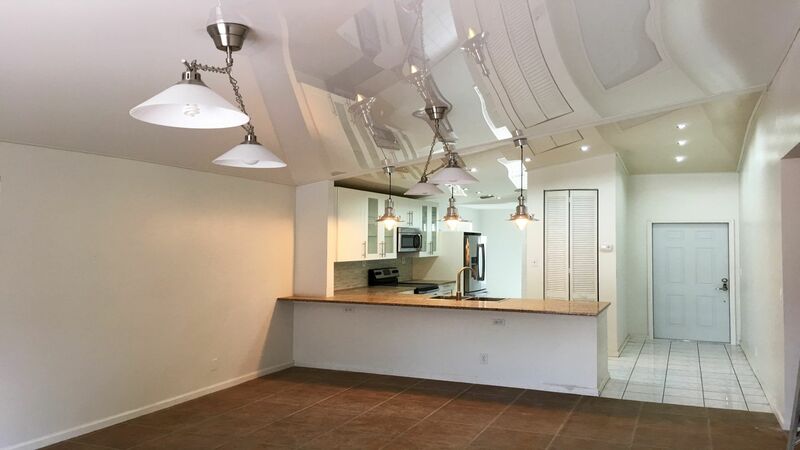 Q : How far down from the original ceiling is the stretch one installed? A : The Stretch Ceiling is mounted 1 inch below the existing ceiling, and the laser level will help achieve the perfect flatness of your new one. Q : Is there any airflow between the old and the new ceiling? A : Absolutely, since the track is not air-tight, it enables some airflow between the two ceilings. Q : Can Batica-renov Stretch Ceilings also be installed in heavy traffic room? A : Our Stretch Ceiling System is rated Class I in the USA , within the requirements of the ASTM E84 Flame Spread Test and successfully meets UL criteria, as Stretch Ceiling Systems are made of a non-flammable PVC membrane. Q : Can we integrate lights or spotlights into the Stretch Ceiling Batica-Renov? A : All types of light source can be integrated into the Stretch Ceiling System, pre-existing light fixtures can still be used and loudspeakers or vents can even be re-integrated. Q : What will happen if something from the old ceiling falls on the new ceiling, like paint chips, for example? 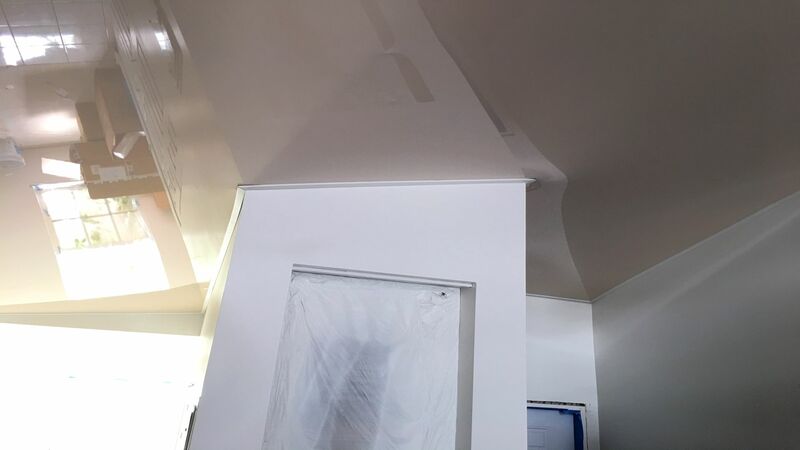 A : The Stretch Ceiling can easily be removed and reassembled to allow access to the space above, but paint chips would not be seen from below and, anyway, not heavy enough to get noticed. 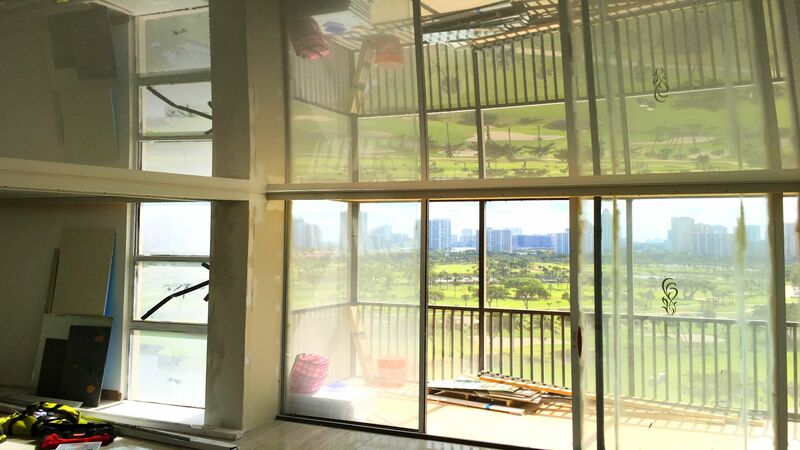 Q : May the installation work of Stretch Ceiling cause my room to be dusty? A : No, the installation process is quite neat and rarely takes more than a day. Hardly any dust will develop. 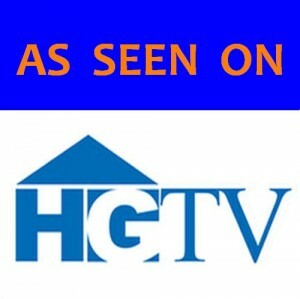 As soon as the installation specialist has finished his work, you will immediately feel “at home” again. 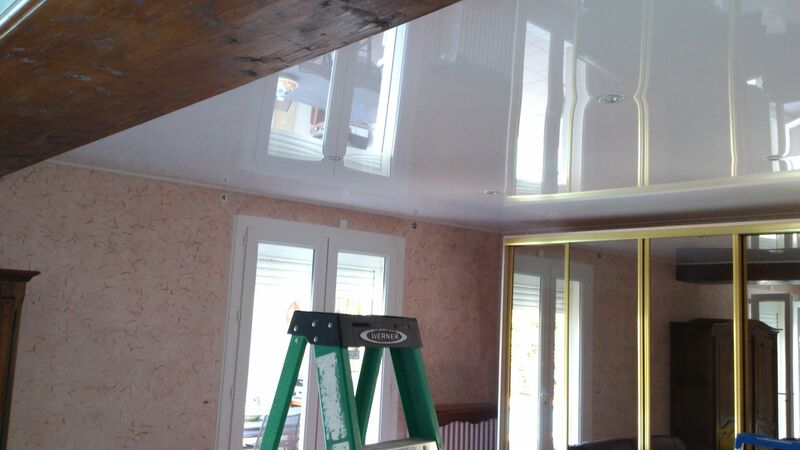 Q : Does an existing popcorn ceiling need to be removed before installing a Stretch Ceiling System? A : No. 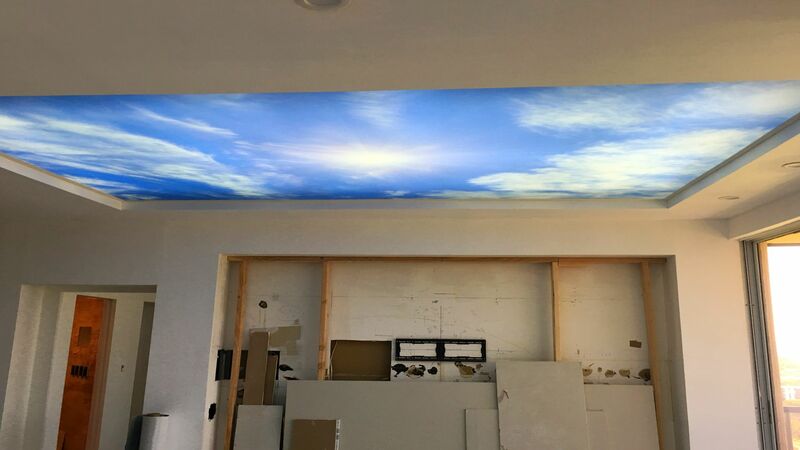 Stretch ceiling installation does not require any kind of prior set up. It is not necessary to remove the pop corn (No mess). It is a quick and easy process that needs absolutely no scrubbing or leveling of the current surface. Q : Can Batica-Renov Stretch Ceiling membrane be used as an acoustical product? A : A stretch ceiling can act as a sound absorber with the micro-perforated option. As per sound requirement testing, it can absorb up to 65 % of noise. Q : What is the warranty of Batica-Renov Stretch Ceilings? A : Batica-Renov Stretch Ceilings ALL come with a 25-year installation warranty and a 10-year warranty on the membrane. 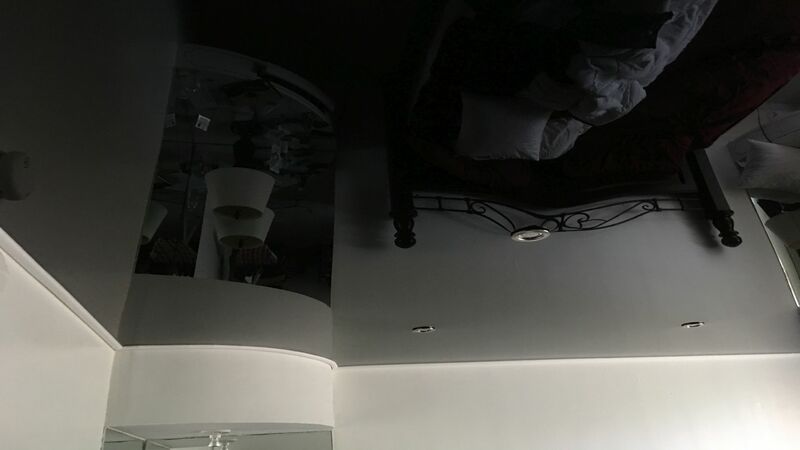 Q : Can the Stretch Ceiling be damaged? Can it be fixed? A : The film membrane is thin and sensitive to sharp objects, therefore it can be punctured. Nevertheless, it can be repaired depending on the nature of the damage. 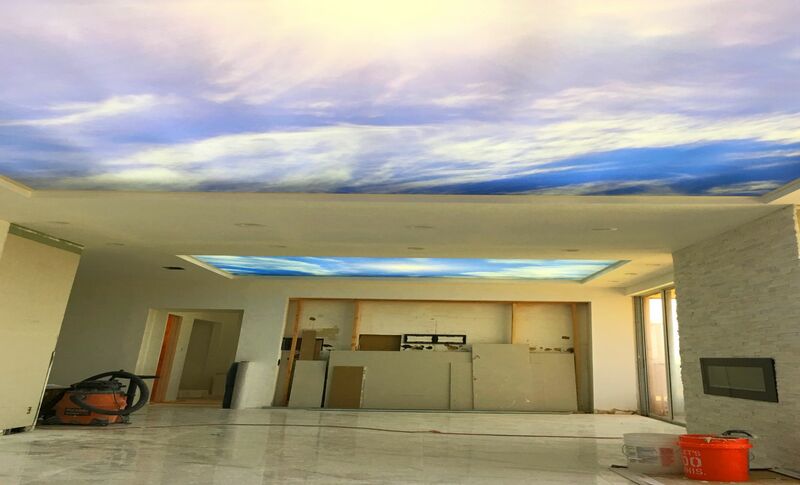 Q : Why should I choose the Stretch Ceiling system? A : You can easily find some information about the stretch ceiling on the internet. 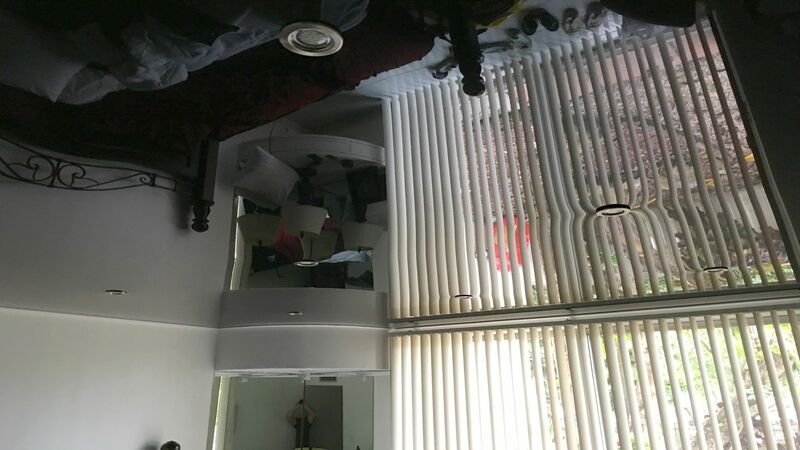 Most stretch ceilings customers are satisfied, and as far as our company is concerned, 100% of our customers are fully satisfied with their new ceiling and often install an other one later. 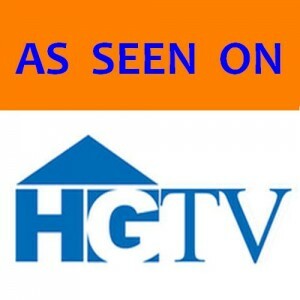 The feedback is always positive, resulting in many referrals. High-gloss finish is great for creating an illusion of a wider space. Stretch Ceilings also help save energy by creating another layer that acts as an extra insulation, therefore reducing heating or cooling costs. 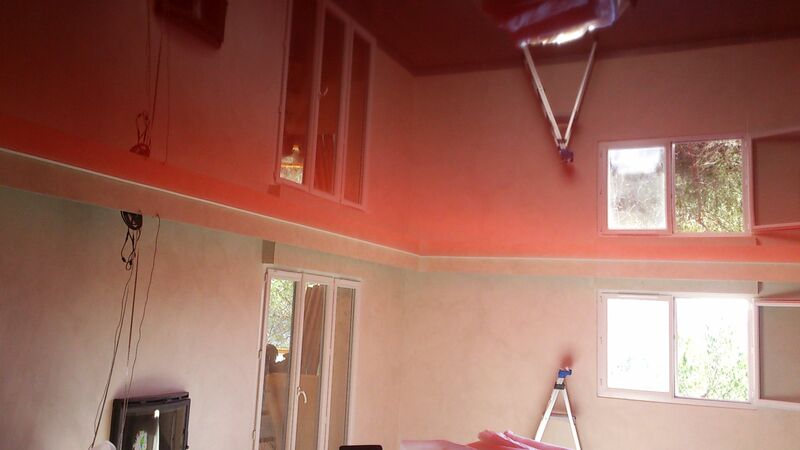 The product is great for covering up any flaws in the original ceiling such as cracks, unevenness or discoloration. 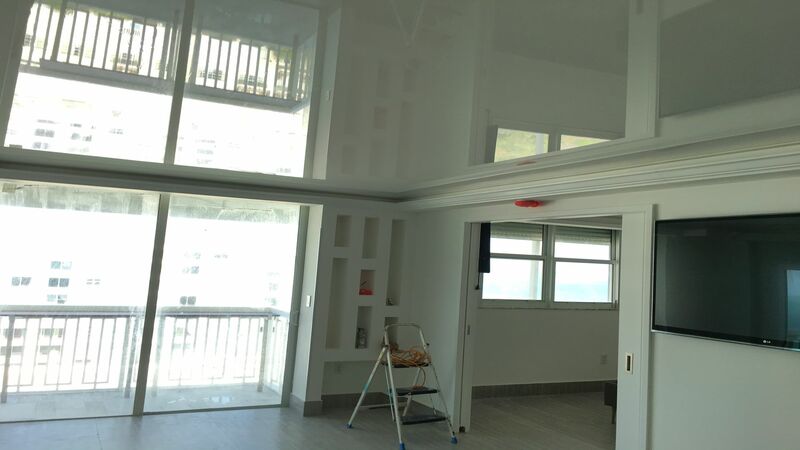 Stretch ceilings require no further maintenance and are 100% safe. Q : What materials are used to manufacture of Stretch Ceilings? A : We use PVC film membrane of various textures, specially manufactured for Stretch Ceilings, in Germany and France. Q : What is the difference between Matte, Satin and Lacquer finish? A : The Matte finish has a texture that looks like ordinary paint since its surface is a little rough. The Satin is a smooth and flat texture, with a very light gloss effect. This is a good compromise between matte and gloss (Lacquer). The Lacquer finish gives a reflexion and visually widens the space (a bright room will seem to have a mirror on the ceiling). Q : Can the Stretch Ceiling membrane Batica-Renov be damaged by the hit of champagne cork? A : No if it is popped the regular way, but… Yes, if you are sabering a bottle of champagne. 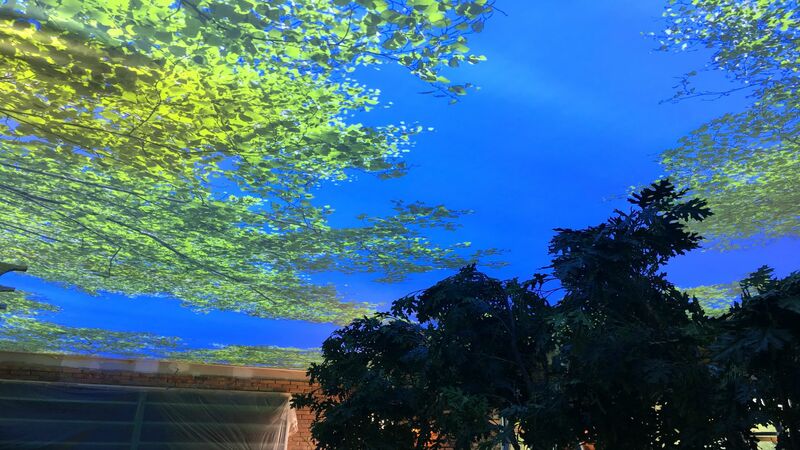 Q : Can any image be printed on Stretch Ceilings? 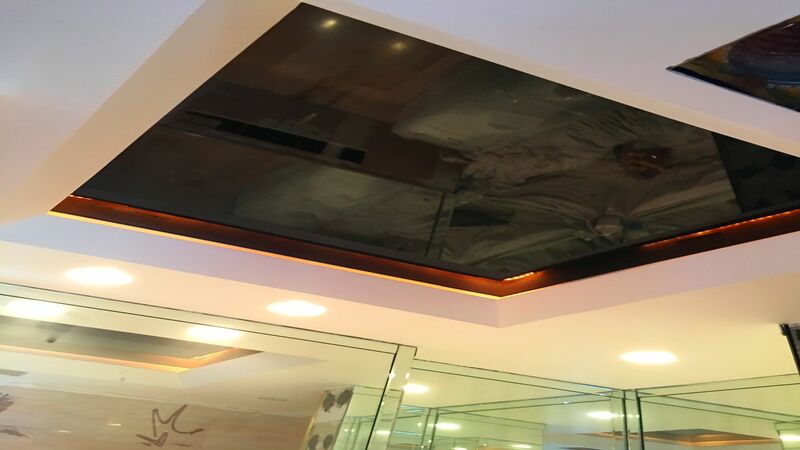 A : Yes the Batica-Renov Stretch Ceiling Film Membrane can have any photo-ready custom art UV printed, which is a brand new technology. Q : Can the Stretch Ceilings System be made of complex shapes? A : Yes, any shape and configuration of Stretch Ceilings is possible. This opens limitless possibilities for clients’ solutions and imagination. Q : Do we have to remove furniture before installing a Stretch Ceiling? A : The fewer items in the room, the easier and quicker the installation will be, so we strongly recommand the removal of fragile &/or valuable items and plants from the rooms prior to mounting the stretch ceiling. Q : What are the terms, methods and conditions of payment? A : You can pay with cash or by money order, credit & debit card or a bank check (please, no personal checks). 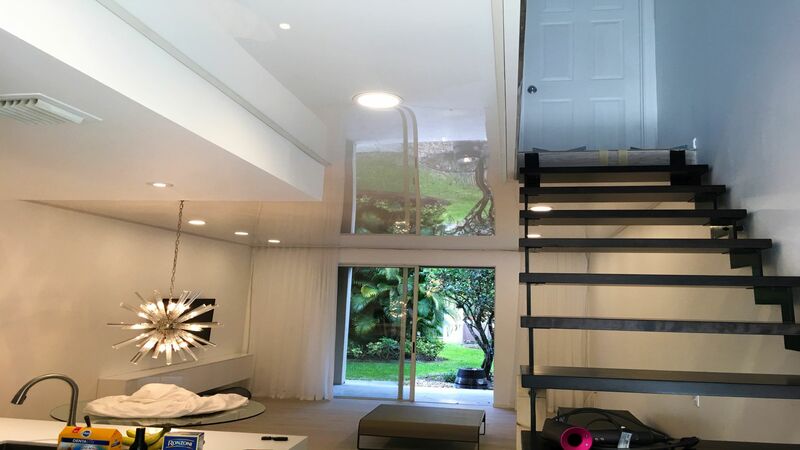 We request a 50% advance payment, since the Stretch Ceiling Membrane is custom made and cut with the utmost precision to fit exactly the size of your room and your room only. The balance is paid in full, once the ceiling is mounted (the very day of completion). Q : Where Batica-Renov Stretch Ceiling can be installed? A : This technology is compatible with almost any type of interior including: Commercial spaces – Residential homes – Pools – Children’s rooms – Spas – Hotels – Car dealerships – Recording studios – Hospitals – Labs – Medical & Dental offices – Night clubs – Restaurants – Airports – Auditoriums – Boats. Q : Is Batica-Renov France Stretch Ceiling still active? A : Yes, we have a team in France dealing with an extensive customer base and their referrals, since it is a very popular product abroad (mostly in Europe), where it is in high demand. 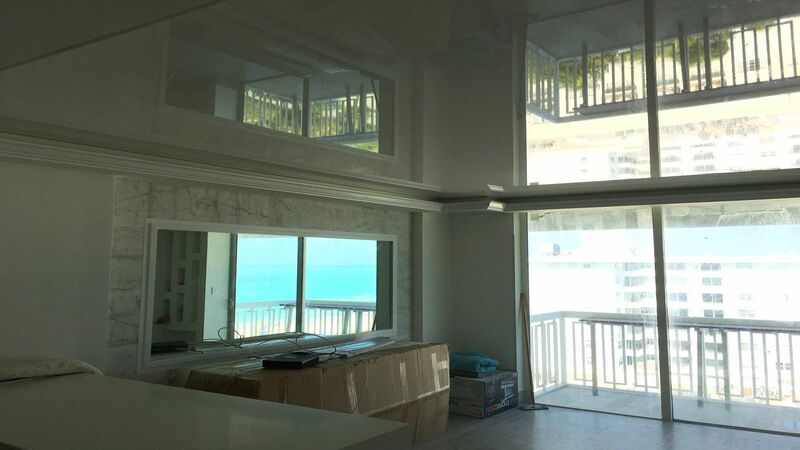 Our local teams provide quotes, installation and excellent customer service, much like our team based in Florida.